small daily savings. Cut down on unnecessary expenditure to get into the habit of saving and avoid any temptation to spend. It is a good idea to involve your son or daughter and make them feel responsible towards the goals of saving for their car when they reach seventeen. 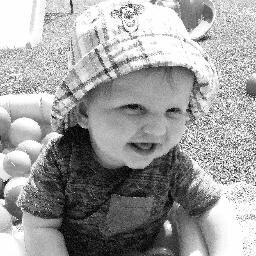 Your growing child will feel equally important and accountable when you discuss things with them and will be willing to work towards the financial goal. Your teen can work also work part time to help raise money for the car. 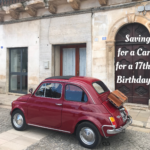 It is a good idea to create an account where you put money just for the car for the 17th birthday. Set realistic targets every month and stick to them. Keep in mind that savings accounts are created for the long term. Keep an eye on current cars that are the most suitable for growing teens and their fluctuating costs. The average cost of a new car is a whopping £30,000 while that of a good, newer used car is about £10,000 You can pick up bargains from around £5000 though. 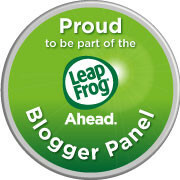 Browse websites and keep your teen in your discussions so you have an idea of which cars to consider. Have a good clear out at home and see what you can sell, either online or at carboot sales. Set your teen off washing neighbours cars or mowing their lawn for a few pounds. Look for anything to fit in with your week to earn some extra money such as dog walking, or private cleaning. So, follow the above tips and set yourself a goal to gift your teen a car for his or her 17th birthday. There are so many different ways and means of making and saving money, provided you remain committed to the financial goals. You will be such a proud parent when you see your teen driving away in their first car! 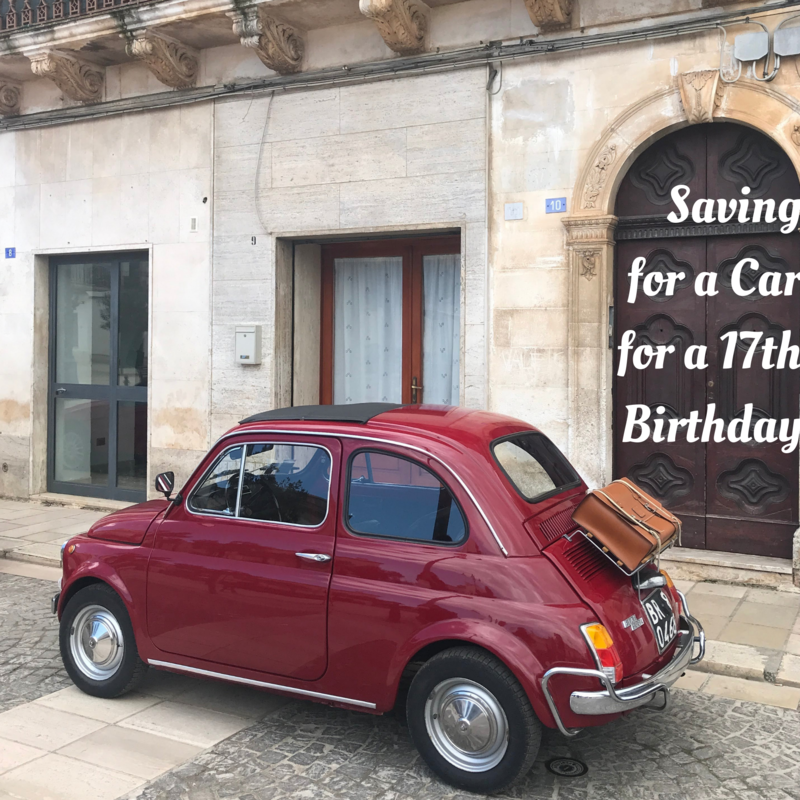 Have you any tips to add for Saving for a Car for a 17th Birthday? Please let me know!